It has been awhile since I have done a review of a stick from Illusione Cigars,so when I got my hands on a limited edition version the HL "Holy Lance", I thought it perfect for a review. 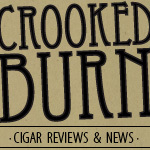 If you are a follower of cigar news, you may have heard about two new limited releases from Dion (@vudu9 on twitter) in the HL line. One in particular stands out because it is wrapped in a bright green Candela wrapper, but the other (which is the one I am smoking for review) is different because of its wrapper too -- because it is a Maduro. Some more info on the HL Maduro from the New Havana Cigars website: A special run of -hl- available with a maduro wrapper! Limited availability. Dion Giolito blended these cigars using tobacco from first generation Corojo '99 and Criollo '98 seeds. They are beautifully constructed, featuring a Maduro wrapper and a cuban style triple cap. Made at the Raices Cubanas factory in Honduras from 100% Nicaraguan tobacco. This stick was given to me by Dan (@nhcdan on twitter) owner of New Havana cigars. 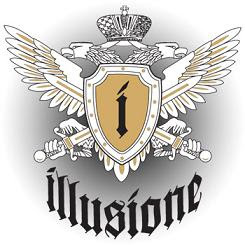 If it tastes as good as it looks, I think we might be in for another fantastic cigar from Illusione. Let's get to smoking. My HL Maduro was a very rustic-looking cigar with a fantastic pig tail sticking out of the triple cap. The wrapper was a nice medium brown with a lot of tooth and oil. There were some pretty sizable veins in the leaf, but all seemed to be smoothed out nicely. The aroma off of the wrapper was faint, but smelled slightly earthy. The cap clipped easily and the cold draw was free with just a little resistance. I have smoked my fair share of lancero-sized cigars and the draw on this stick was one of the best I have had in awhile. 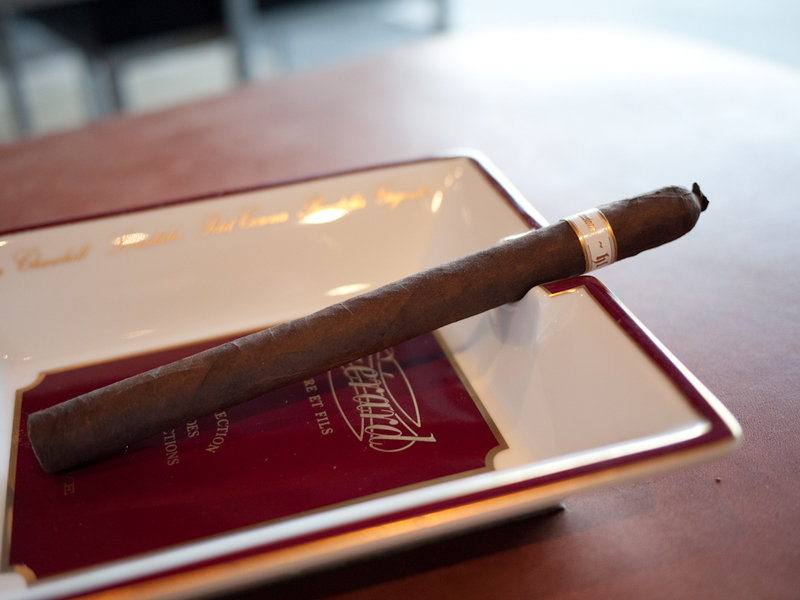 The flavors of the unlit cigar were a mixture of floral and black cherry notes. The wrapper itself left a very sweet taste on my lips that is hard to describe, but I would say it was almost like a sweetened Chap-stick. 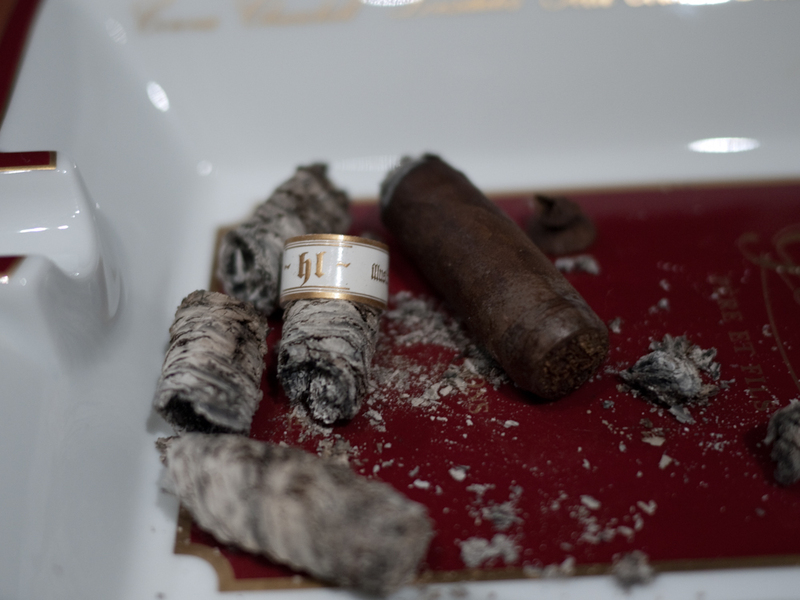 After lighting the HL Maduro, my taste buds were hit right away with some very refined white pepper that zinged all over the front of my palette. I, literally, looked at my smoking partner Mario and said, "Wow, that's a lot of flavor." Within the white pepper kicks were hints of black cherry, which melted nicely and balanced out what could have been a spicy start. The draw was fantastic, producing an average amount of smoke on each puff. About an inch into the cigar the flavors had already started to add a new dimension -- a chocolaty sweet finish. The burn was a little wavy, but did not require a touch up; it corrected itself going into the second third. The body was a solid medium. Starting into the second third, that switch up of flavors to this new sweet chocolate finish was really in full gear. In my opinion, there was no mistaking that this wrapper was complimenting all that I love in the HL blend just that much more flavor to play with. The front still had the white pepper mixed with the black cherry, and now, like I wrote above, the sweet chocolate was strongly present on the finish. Even with the amount of flavor happening, the tastes were very clean on the palette. I would describe the texture of the smoke as syrupy, but not heavy. The construction was top notch, now with the burn line having straightened itself out. 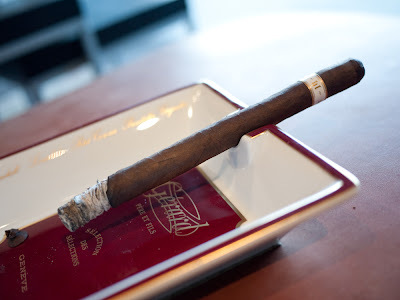 As far as the amount of smoke I was getting on each draw, it was average and on par with what you would expect from a lancero.The body was still in the medium range. The final third of my HL Maduro was similar to the second third in that it had all of the flavors, but the white pepper picked up quite a bit and started to slightly overpower the black cherry.On the finish was the sweet chocolate that cooled off any spice from each draw. During the final third, I felt a significant increase in the body and would put the end of this smoking experience more into the med-full range. Something I did not mention above was just how slow this stick burned for me. I was drawing on the cigar at a normal rate and it still took me a good hour and forty five minutes to nub. 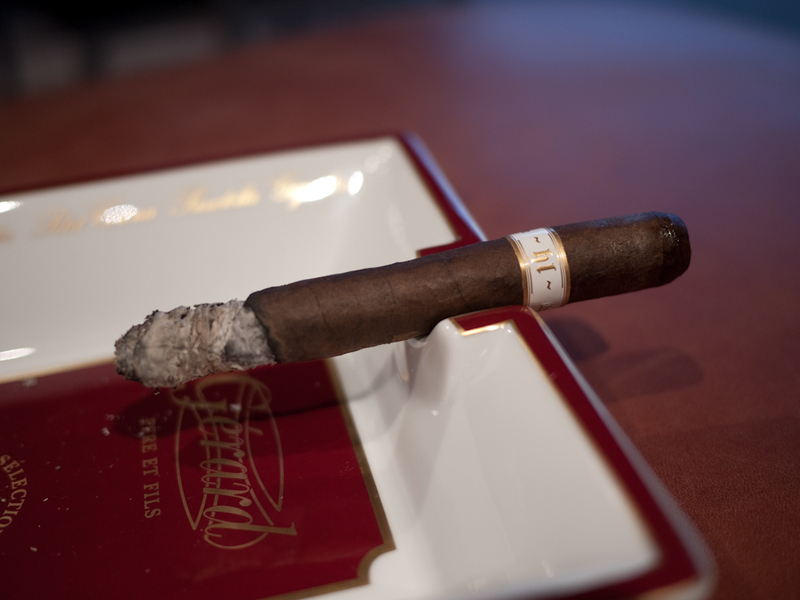 I've found a lot of lanceros burn quickly because of the small ring gauge, but that is not the case with the HL Maduro. This long, thin stick is packed full. My final thoughts on the Illusione HL Maduro? This is a complex flavor bomb of a stick. In the first few puffs, my palette got kick started with the white pepper zing and then was encased with enjoyable flavor after flavor the rest of the way. I would say the best part of the stick for me was right in the middle when all three of the most prominent flavors were really kicking in full gear and keeping me very interested with every draw. Even though the smoke was very clean and light feeling, I can still taste the sweet syrupy flavors from the finish an hour after putting the cigar down. Would I buy it again? Unless Dion plans on releasing this as a full line it's going to be difficult to keep any significant stock of these in my collection. Dan at New Havana Cigars still has some up for sale on his site so I'm sure I will grab a few more before they are all gone. Would I buy a box? I would say that this is a box-worthy purchase if you can afford it and can find them..